Morgan (as he was known) had many friends nearby: Max Beerbohm in Abinger, birth control pioneer Marie Stopes at Norbury Park, and Labour MP Fred Pethick-Lawrence and campaigning wife, Emmeline, in Peaslake, and he played an active part in village life. In 1934 he wrote the Abinger Pageant, with Ralph Vaughan Williams providing the music, in aid of the church restoration fund. 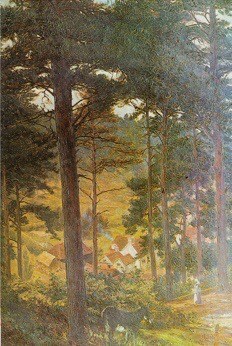 4 years later he wrote England’s Pleasant Land for the Dorking and Leith Hill Preservation Society. He collaborated with Vaughan Williams to found the Dorking and District Refugee Committee. When trying to sum what was worth fighting for in the face of imminent invasion during the Second World War, he wrote about Abinger and the lives of his neighbours. EM Forster named his collected essays Abinger Harvest. When the lease on West Hackhurst came to an end in 1946 the villagers, who had initially found him somewhat aloof, if not distinctly odd, saw him off with a rousing party at which he gave a speech in defence of local footpaths. Summer Street, in A Room with a View, is based on Holmbury St Mary. In the book the Rev Beebe is vicar of St Mary’s (where Forster’s aunt and mother are buried). Windy Corner, the Honeychurch family home, is set on the southern slope of Holmbury Hill and the skinny- dipping scene in a pond described as ‘like swimming in salad’ is probably based on the pond on the path to the hill. Presented at Abinger Rectory, the Abinger Pageant had 500 participants including a band and a choir. Narrated by a woodman, it presented the history of Abinger, paying homage to John Evelyn for replanting trees lost to ironworking. Calling for the preservation of the countryside the woodman rails against bungalows, pylons and arterial roads. England’s Pleasant Land, presented at Milton Court in 1938, compared 18th century enclosures, which robbed the peasantry of their common land, with 20th century death duties. The plot sees good Squire George’s son forfeiting his land and Jerry the builder moving in chanting ‘Ripe for Development is England’s Pleasant Land’. There followed a pageant of horrors – cars, bikes, litter and pedestrians being run down. 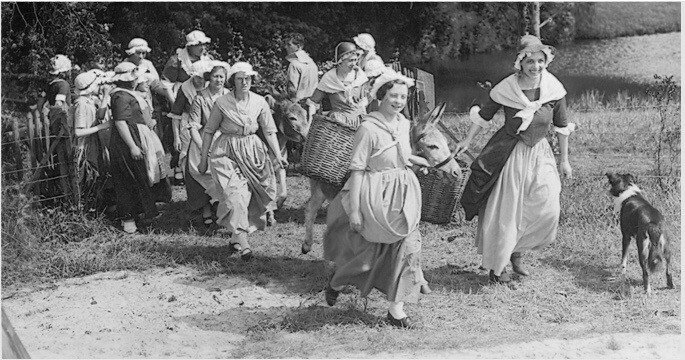 The long running serial The Archers ran a storyline featuring an Easter Pageant based on “The Abinger Pageant.” The Museum wrote a history of the Pageant. Read it here. 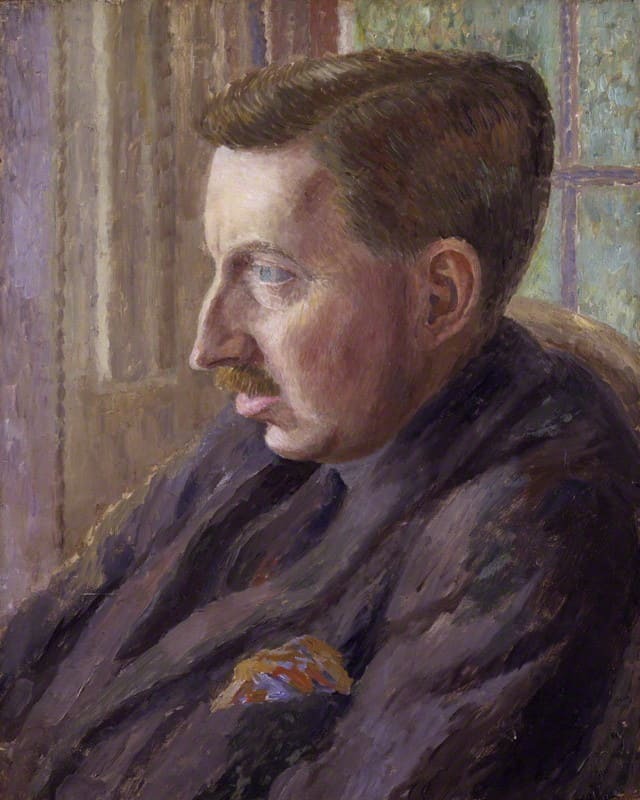 In 2002, the Museum will be holding an exhibition commemorating 50 years since E M Forster’s death. Follow the progress here.